On Friday, June 16, 2017, Boys & Girls Clubs of Greater Dallas hosted an event to promote high school graduation among the hundreds of teens attending one of our 20 Club locations. The celebration, which had over 150 teens in attendance, featured food from Taco Bell and Pizza Hut; a college, trade school and military stations; a selfie wall with props; a pledge wall with “Class of” signs; a DJ; games; and more. There was even a performance by a local, youth step team. This amazing teen event was made possible through a $12,500 grant from the Taco Bell Foundation. 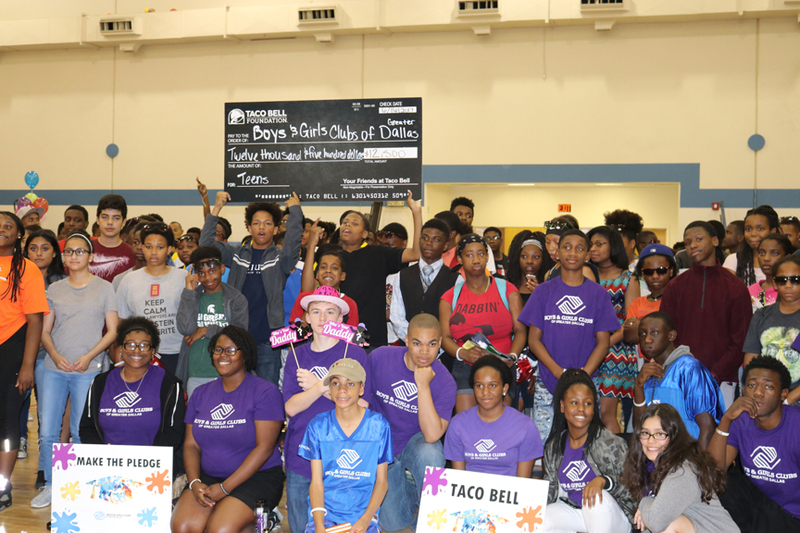 The grant to Boys & Girls Clubs of Greater Dallas is part of a partnership between the Taco Bell Foundation and Boys & Girls Clubs of America to support more young people through high school graduation and beyond.